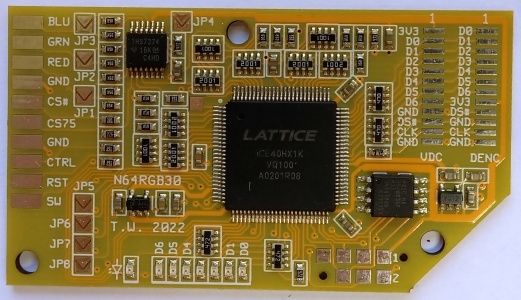 N64RGB board. Hardware version 1.2, software version 1.2 (includes de-blur feature). 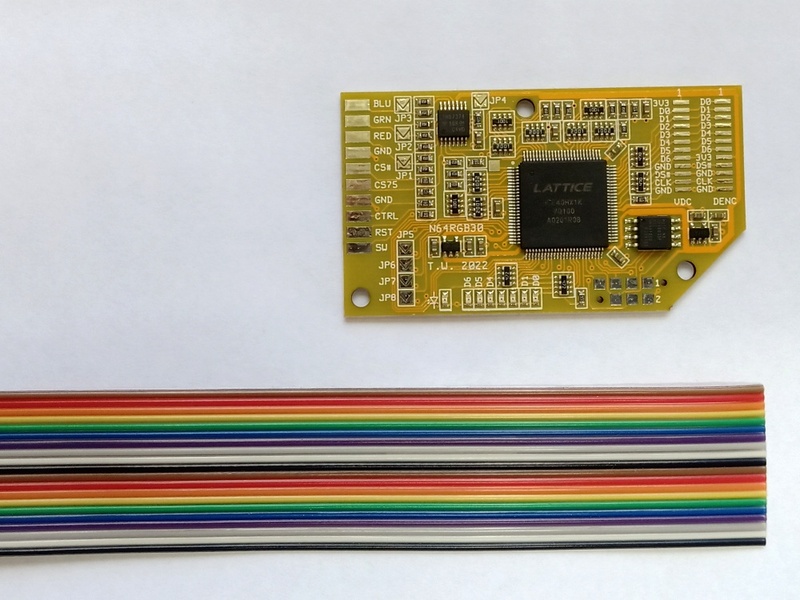 Solder in board which adds RGB video support to the Nintendo 64 console. Works on all models of Nintendo 64, compatible with all SNES and Gamecube RGB cables. The board is supplied with a 1.27mm pitch ribon cable, 30cm long. 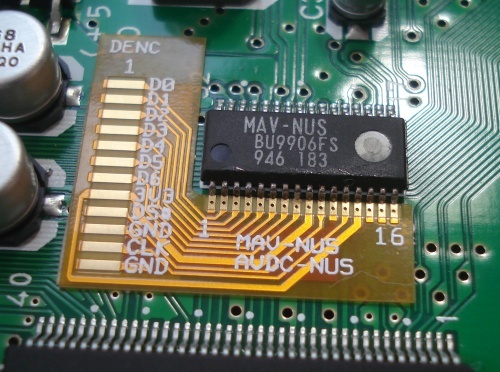 Some of the later models of Nintendo 64 have a fine pitch DAC chip (MAV-NUS or AVDC-NUS). This requires an extra adapter. Sale Price: AU$40.00 You Save: AU$8.00 (16.67%)!